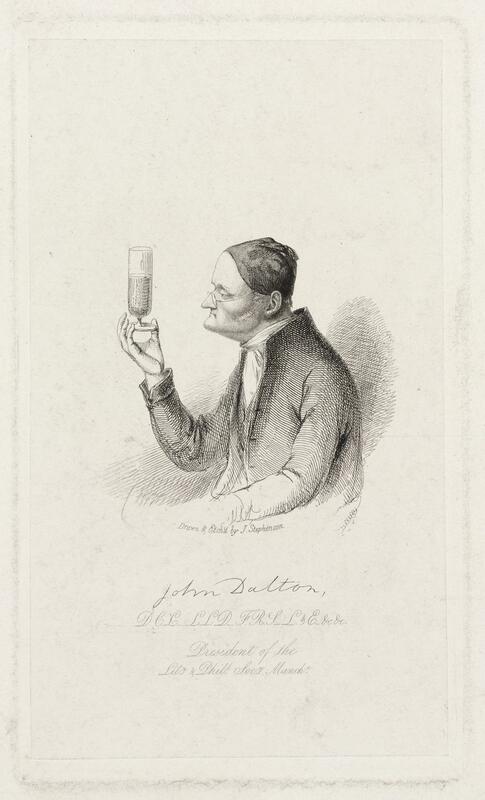 Portrait, etching; John Dalton, by and after J. Stephenson. Image c 8"x4". On India paper.